Exclamation point in maths: what is a factorial? How to calculate factorial in programming languages? 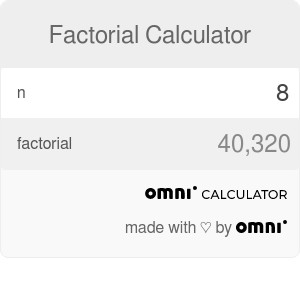 Welcome to the factorial calculator: a tool that calculates the factorial of any number from 0 to a 170. On top of calculating, e.g., the 0-factorial or 5-factorial... We will also show you how to use the exclamation point in maths, provide information about the n-factorial formula and the applications it can have. We will answer the question of "what is a factorial?" 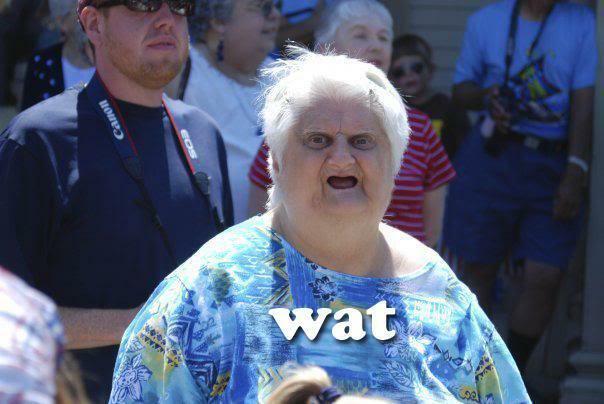 using the factorial definition. And finally, we will dive into the maths behind it to find how we can include more than just positive integers, using the gamma function. When you saw for the first time an exclamation point in maths, you probably got shocked or even thought that there was some kind of mistake or typo. But the reality is different: this exclamation point in maths is called the factorial or n-factorial. The factorial is a fairly unknown operator that in reality can be viewed more as an abbreviation than a true operator in itself, at least at the beginning. It is important not to confuse the factorial with prime factorization of a number which is a way of obtaining the prime numbers that when multiplied give your specified number. Prime factorization has its uses in maths and is arguably more known than the n-factorial. Part of the reason prime factorization is more popular, is its usefulness when calculating Greatest Common Factor (GCM) and the Least Common Multiplier (LCM), but we are digressing now. To understand what the factorial does or means we should start with an example. We could choose any number n and calculate its n-factorial value, but the best is to choose a fairly small number, so let's use 5-factorial. From this example, you can see that it is not rocket science, and you might even take a guess at the factorial formula. You can also understand why this exclamation point in maths can be regarded as an abbreviation since it is not a new operation but rather a collection of multiplications. In short and somewhat informally, we can define the factorial as the multiplications of all the positive integers smaller or equal than the given number. 5! = 5 * (4 * 3 * 2 * 1) = 5 * 4! This kind of relationships between n-factorials with different n is the basis of the mathematical formula that defines the factorial operation, as we will see in the next section. The factorial operation is not used everywhere in maths, but it is very important in statistics and probability problems. In those cases, especially when one has to deal with permutation calculators or combinatorics, the n-factorial appears almost all the time. In the next sections of our factorial calculator, we will see real-world examples of problems that require the usage of factorials and the factorial formula. So far we have seen a rather loose explanation of what is a factorial, but we have not given a proper factorial definition. Well, that is precisely the aim of this section: to see and explain the factorial formula and how we can infer from it the factorial definition in a more mathematical way. 5! = 5 * 4! = 5 * (5-1)! Which is the general factorial formula and is an integral part of the factorial definition. However, this does not answer all the questions about factorials. For example, what would happen if we take a negative number? When do I stop subtracting numbers? These are valid questions that the factorial formula, we have shown, doesn't answer, but are fundamental for having a proper factorial definition. These two questions can be answered easily by stating that the factorial formula is only defined for positive integers, which means that we cannot go lower than n = 1. But this also brings up another question: What is the 0-factorial? Since we cannot use this formula, you are forgiven for thinking that this question has no answer and the whole factorial thing is "fake news". However, there is a 'trick' to get around this: setting the value of the zero-factorial to a number by definition. A small disclaimer is needed here since in maths things are never as easy as "choose a number and roll with it", there are many complex reasons as to why the value of zero-factorial has been set to one and not any other number. However, explaining these reasons in detail is far beyond the scope of this factorial calculator. Let's check now some of the value for the n-factorial of several small n, like zero factorial, 3 factorial, 5 factorial and so on. Pay special attention to the value of 0 factorial because it is the most important one and we will talk more about it later. We can see how fast the factorial of a number increases as we keep using bigger numbers. This is yet another situation where scientific notation can save the day (if we know how to properly truncate to the necessary significant figures) if you need to work with such big numbers. For factorials of numbers greater than 10, don't hesitate to use the factorial calculator above. Besides, you can use a bit of logarithm for computation of factorial of a high number. To see how, you may check our logarithm calculator where we explain how logarithm can be applied for such an arithmetic computations. 0! = 0 * (0-1)! It looks like no matter what the value of (0-1)! turns out to be, the result should always be 0! = 0, but things are more complicated than that in maths. We saw in the previous section that the n-factorial is only defined for n > 0, so we have a problem here. Term (0-1)! is what mathematicians call: undefined expression which means that the expression is not correct and thus it has no mathematical meaning. This is the same problems as with division by zero. It's not that we cannot calculate it. The problem is that the expression doesn't make sense, it doesn't have a meaning. This is a reason why 0! is important to define as a convention value. Setting it's value to 0! = 0 would not be a good idea since it would mean that n! = 0 for any value of n. You can see why by applying the factorial formula. On the other hand, if we set zero-factorial to 1 we now retain the expected values for n-factorial while having a simple convention for the value of 0!. We will see in the following section another reasoning behind setting zero-factorial to be equal to 1, with a more mathematical logic. 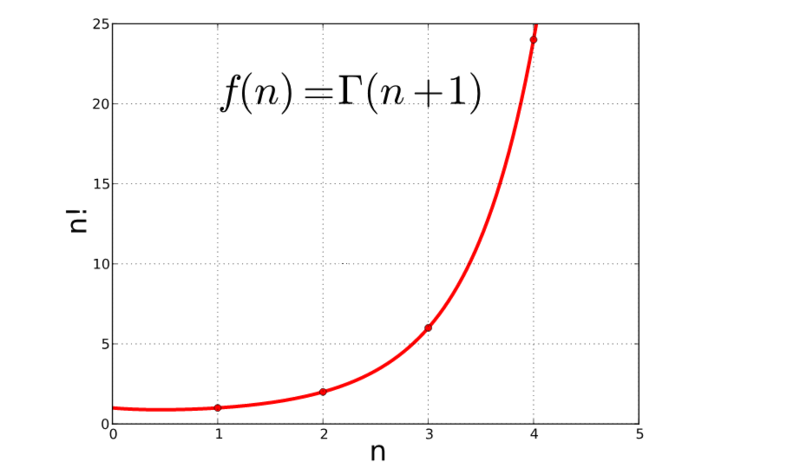 In doing that we will also introduce the Gamma function, which is in plain terms, an extended factorial formula that includes all positive numbers and the 0-factorial. It is possible to determine the factorial of non-integer numbers - in fact, it is possible for all real and complex numbers excluding negative integers. It requires the use of sophisticated mathematical tools so we will try to give a simpler version here, retaining as much accuracy as we can. In fact, there have been several approaches to extending the factorial formula to include all positive numbers, each of them with subtle differences and all of them mostly compatible with each other. That's the definitions of the Gamma function, where t is the variable of integration from zero to infinity, and z is a (non-negative-integer) complex number. This formula reduce to the n-factorial when applied over any positive integer n.
it is not an exact copy of the n-factorial since you need to calculate the value of the Gamma function for n+1 to obtain n!. To remedy the second "problem" we can introduce the Pi function. The Pi function is very similar to the Gamma function but shifted just enough so that the factorial and the function would match up. After all, you might be bewildered by the complexity of the maths behind this factorial formula, but don't fret!. As a simple trick, we can tell you that (-0.5)! = √π and (0.5)! = 0.5√π. We have already discussed that the factorial is commonly used in probabilistic calculations or permutations, but there is more. Let's see what are other places in which the n-factorial appears. Keeping within the realm of pure maths, we arrive at the binomial distribution that helps calculate probabilities of, for example, independent experiments having similar results. Aside from maths, the n-factorial appears in many other calculations, most notably in statistical physics and particle physics which are parts of physics that deal with permutations of particles, amongst other things. In particular, statistical physics is a very useful area of physics that can be thought of as a "microscopic" version of thermodynamics. That is because statistical physics deals with thermodynamics problems (like calculating the latent heat or the thermal conductivity), but it does it from a particle-by-particle basis. There are other areas (mostly of physics) that use factorials for calculation and we could dive very deep into how and why they use the factorial formula in their calculations, but for a simple calculator like this one, that would be well beyond its reach. In our modern world, the tedious calculations are generally left off to the computers (just like you're doing by using factorial calculator). Increasingly common is the usage of coding languages to create small programs that will make those calculations for us. The n-factorial is a perfect candidate since it's not really complex conceptually. But, for big numbers, it requires too much time for humans to calculate. For those of you that are using programming languages, we will leave some example for some of the most coding languages. Factorial Calculator can be embedded on your website to enrich the content you wrote and make it easier for your visitors to understand your message.